Reading out loud to our children is so very important to their language development, finding enjoyment in reading, and increasing their own reading skills. My boys LOVE to be read to and even my middle school students enjoy hearing a story read aloud. Professionally, I get excited when I see that spark in a student when we’ve found a topic/author/book series/etc. that they are interested in due to something I read to the class. Personally, I find great pleasure in the opportunity to snuggle up with my kids and bond with them over a book or two (or ten). 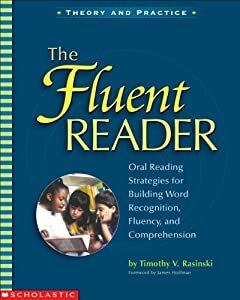 As part of my independent professional development, I’ve been reading, The Fluent Reader: Oral Reading Strategies for Building Word Recognition, Fluency, and Comprehension by Timothy V. Rasinski. I felt that he clearly outlines how reading aloud benefits kids of all ages, how to prepare for a read aloud, and what to do during and after a read aloud. This will be the first in a four part series discussing read alouds. Exposing our children to more complex written language (in comparison to oral language) provides the opportunity to ask questions about the text because they aren’t losing meaning when decoding the words. We can expose them to advanced vocabulary in the context of a meaningful topic. I was shocked to read that, according to Rasinski, “most printed material, even a children’s book, has more sophisticated words than nearly every form of oral language. For example, they note that the level of vocabulary in story books for preschoolers is at approximately the same level as speech between college graduates.” My husband and I read everything to our kids. Parker and Brandon have been interested in everything from the simple infant-targeted board books to the books we are reading to articles in Time magazine. Parker now has a much more sophisticated vocabulary than an average three year old. I’ve always felt that reading out loud to my students allows them to hear what a good reader sounds like. Fluency isn’t just correctly reading the words on the page. It’s conveying meaning with how you read the words. Rasinski stated, “Through intonation, expression, phrasing, and pausing at the appropriate points, the reader demonstrates that meaning is embedded in more than just the words; it’s also in the interpretation of the words.” I teach my students to “read the punctuation” and emphasize certain words to allow their listener to hear the meaning of the text. We practice placing greater emphasis on different words of the same sentence and discuss how the meaning of the sentence changes each time. Try this. 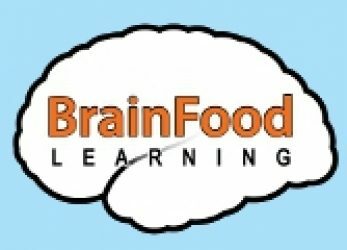 Read aloud the sentence, “I wanted some of that,” four different times, each time emphasizing “I,” “wanted,” “some,” and “that.” Hear how the meaning of the sentence changes each time it is read? Did I mention that my boys LOVE being read to? They fight over chair and lap space. We have to negotiate how many books are read in one sitting. At bedtime, it’s not uncommon for Brandon to load up our lap with books to read before finally being put into his crib or for Parker to say, “Mommy! Mommy! Wake up! I want to hear what happens next!” during the fourth reading in a row of his favorite book of the night. Both of them now find their own enjoyment in reading books. Usually, if my husband or I suddenly notice we can’t hear one or both of them, it means they’re sitting with a pile of books in their laps, focused on each page. At school, I typically have a book or two set aside specifically for read aloud. I read at the beginning of each class, for the entire period, and/or if we finish a lesson before the bell rings. My students will ask me to read when we have some down-time. Rasinski said, “In a study of the factors that motivate middle-grade students to read, for example, Ivey and Broaddus (2001) found that being read to by the teacher was second only to free reading as the activity students enjoyed most.” I agree with him. Year after year, my students want to be read to and are motivated to check out other books by the same author or on a similar topic, and they frequently ask if there is a sequel to read next. Regular oral reading is not only enjoyable to all ages; it is a strong factor in advancement of vocabulary, comprehension, fluency, and motivation to read. So make reading to your kids part of your daily routine. Read to each other on road trips. Attend story time at the local library. And find out if your child’s teacher incorporates read aloud into classroom activities. Keep reading, everyone!